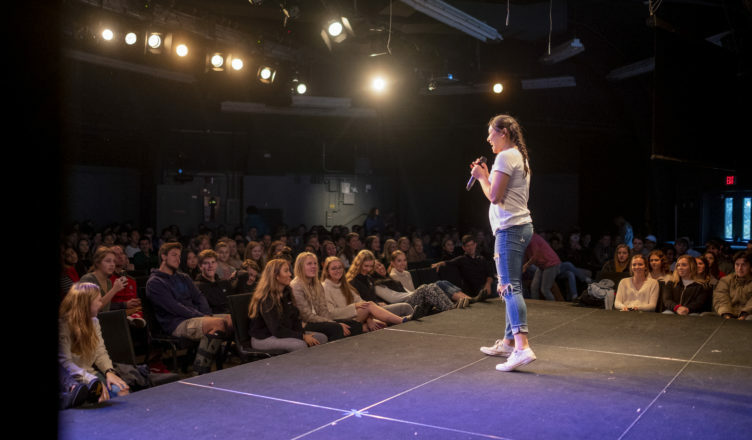 An evening of music, improv and gourmet desserts will be presented by the King’s High School Living Faith Group and KHS Live Improv Group on Saturday, March 9 (7:00-9:00 p.m.) in Schirmer Auditorium. Tickets now on sale through brownpapertickets.com. All proceeds from ticket and dessert sales go towards Living Faith’s Spring mission trip to Tucson, Arizona. This is a night you won’t want to miss! For more information, please contact mhudon@kingsschools.org. Track begins Monday, February 25th. It is open to all students and is a “no-cut” sport. Contact Coach Wilcox to sign up: rwilcox@kingsschools. KHS is taking a fresh look at student requirements for community service and we need your input! Please take a moment to complete this brief, 6 question survey. Thank you! Please join us for our second term “PIN” (Parent Information Night) on Thursday, February 13th. The evening will begin at 7:00 p.m. in Schirmer Auditorium with some important announcements. Additional information and details will be arriving in your in-box soon. We hope to see you all there! If you haven’t yet made your auction donation, now is the time! All donations brought to High School PIN on February 13 will be entered into a special drawing for a $100 Amazon gift card. Silent auction items? Sports tickets or a vacation rental? A commitment for the Dessert Dash? A few bottles of wine for the Wine Grab? All donations will enter you into the special “one night only” drawing, as well as for the on-going $1000 tuition credit! That’s two chances to win….all while helping to make the New Orleans Knights a night to remember!